If you're considering lighter-than-air alternative fuels, such as CNG or hydrogen for your vehicle fleet, it's important to perform a thorough safety evaluation of all the potential fire hazards that may cause significant damage to your building and possibly injure your workers. A fire can occur when there is a combination of fuel (i.e., CNG/LNG or hydrogen), oxygen, and heat. Diesel and gasoline are heavier than air, which causes them to pool on the ground. Since CNG and hydrogen are lighter than air and can rise to the ceiling, any electrical items that are within 18 inches of the ceiling (e.g., lighting fixtures, junction boxes, or fans) must be electrically-rated for use in Class 1 Division 2 areas. It's also important that there is sufficient ventilation provided to the space, not only for technicians that are working in the area, but also excess (or purge) ventilation capacity to evacuate any fugitive gas, in the event of a leak. The proper selection, layout, and configuration of gas detection equipment, strobes, and horns are another critical feature that must be given thorough consideration in terms of proper detection based on building configuration, placement of structural members, access for calibration, and visibility by staff and first responders. As a heavier than air fuel, LNG facilities should provide safeguards similar to those required for diesel and gasoline fuels. However, the facility owner should recognize that the flammability characteristics are similar to CNG, so similar precautions should be made for hazards located at ground level up to 18 inches above the finished floor. There are additional considerations that must be considered for more complex building configurations that incorporate multiple uses within a facility, including adjoining offices, equipment storage, and hot work (i.e., grinding, cutting, welding) functions. CNG gas detection system design for regional transit agency bus terminal facility. Several mechanical, electrical, and plumbing components are typically modified or replaced during a AFV retrofit. 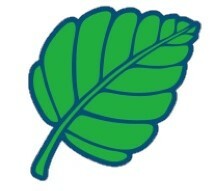 Our approach is to look at the life-cycle cost impact of the project for the owner. Recognizing that most maintenance facility retrofits present an opportunity for various energy efficiency improvements, we work with our clients to identify measures that can benefit from improved efficiency and cost savings, such as LED lighting and use of VFD motors for exhaust and supply air fans. Founded in 1989, M&K Truck Centers has quickly grown to become one of the leading commercial truck dealers in the Midwest. The company currently supplies and repairs Mack, Volvo, Hino, and Isuzu commercial trucks, along with Wabash, Benson, East and Transcraft, and Renegade custom luxury motor coaches in the Michigan, Indiana, Illinois, and Pennsylvania markets. With the emerging demand for new alternative fuel technologies such as CNG and LNG from its customer base, M&K Truck Centers is positioning itself to lead the local market’s effort to provide major repair services for commercial CNG and Propane vehicles. 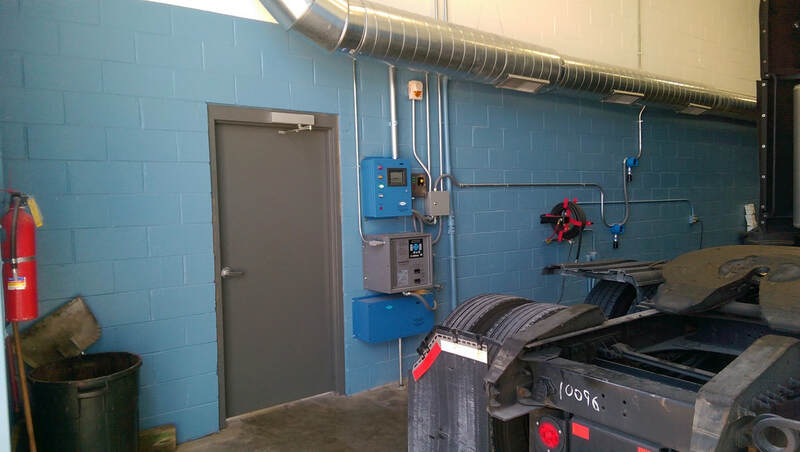 In 2014, M&K Truck Centers engaged Crowley Engineering to perform a site assessment and to prepare design submittals for conversion of an existing wash bay at the company’s south Indianapolis vehicle service facility into a dedicated CNG/LNG maintenance repair bay. In compliance with the City of Indianapolis Building Code, State of Indiana Department of Homeland Security, and NFPA Standards, Crowley Engineering prepared design improvements to enable the retrofit of the design bay, including selection of suitable heating, ventilation and air conditioning (HVAC) equipment, ventilation system, lighting, electrical components, and gas detection system.